Diamonds are a girl's best friend, but they may not be so good to our wallets. Of course, there are some great options that won't break the bank (and we found them here), but there's also another route one can go with their ring pick that's slightly more affordable and even more environmentally friendly. Any guesses? We're talking about moissanite engagement rings—and upon first glance, you'll have a hard time believing they're not diamonds. 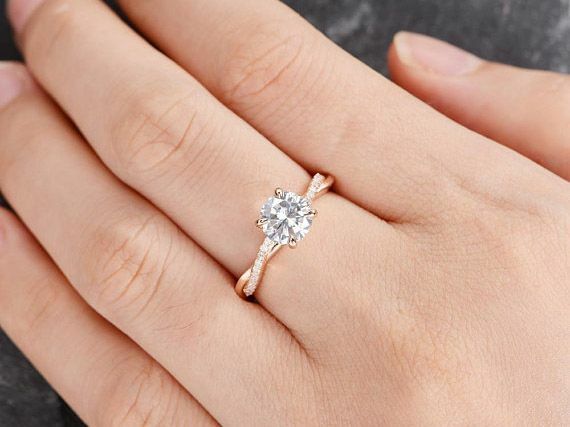 Moissanite is a gemstone that's engineered—i.e., created in a lab—to give the same illusion as diamonds, and thus, it has a minimal environmental impact and is more affordable, according to Brillant Earth. What's more is that a moissanite gemstone is nearly as durable as a diamond (a 9.25 on the Mohs Scale of Hardness versus a 10), making it just as ideal for everyday wear as an engagement ring. 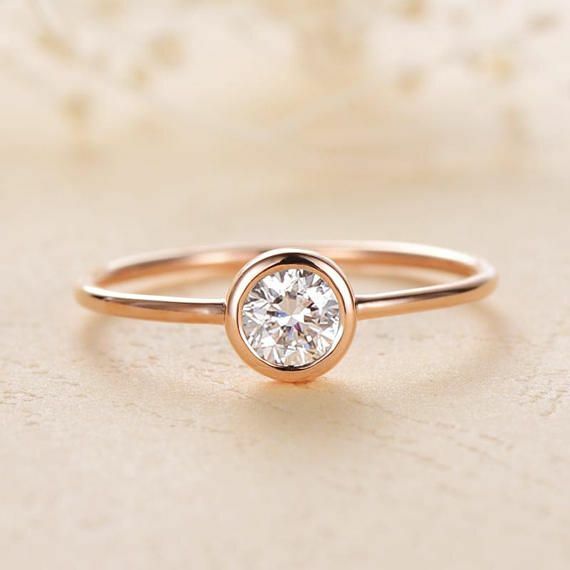 So if you've been looking for a ring that doesn't break the bank but is just as brilliant as a diamond, then we suggest opting for a moissanite style. And ahead we've found some of the prettiest, most dazzling moissanite engagement rings to shop now. Next up, learn about the unique engagement ring trends that brides are loving right now.